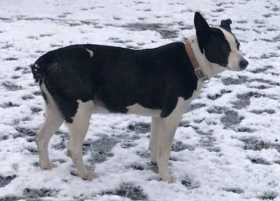 Lost Border Collie Pitbull mix. Short hair. No tail. Black and white.